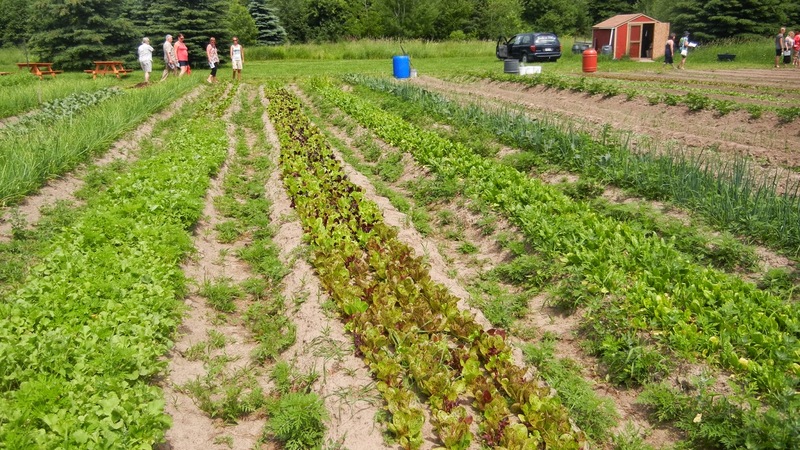 Located in the village of Lafontaine in the northern part of Simcoe County, is a retirement residence called Le Villageois and behind it, a short walk down a gravel lane, you will find the Jardin du Village which is a wonderful 2 acre, multipurpose certified organic garden. 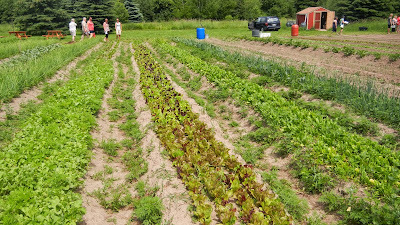 Toiling under some extreme heat conditions, a group of dedicated young gardeners, lead by Andre Chartrand, worked away at the crops as our tour group made our final stop. I was travelling with the media group that day as the Huronia Food Trail prepared for it's launch. Even though our gang of writers and bloggers was riding in air conditioned luxury, we were half melted by the end of the day. I certainly admired these hardy jardiniers. In this world of GMOs, antibiotics and pesticides, it is refreshing to see edibles grown in a natural way and not dependent on chemicals for the health and vigor of the plant. The Jardin du Village uses practices that are very old and some that are new. By using methods such as soil blending, crop rotation, raised beds, and collecting water, the gardeners can achieve great things naturally. They have learned tricks along the way involving which plants do well beside others. They have even invented their own 'sludge' of natural ingredients that goes a long way in discouraging pests. The gardeners don't labour alone in their fields. Young francophone day campers are often found here, as are some surprisingly fit seniors from the retirement home, and members of the CSA program giving a few hours of their time. 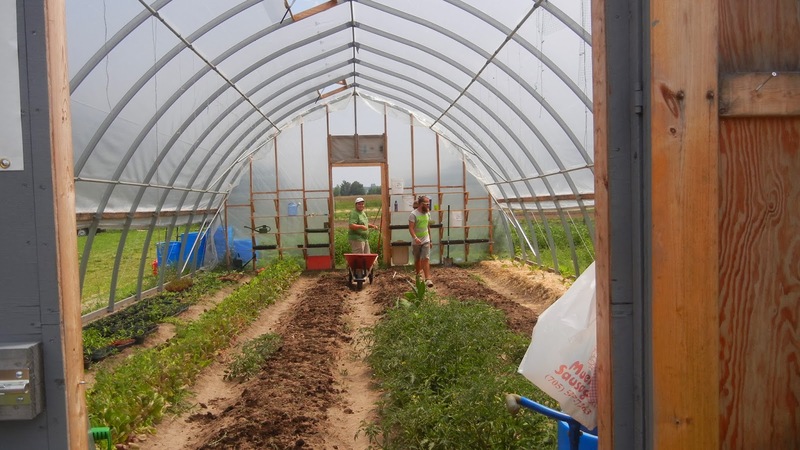 The CSA program ( community supported agriculture) is a wonderful way to try fresh, organic gifts from the land by signing up for a weekly produce box. The program extends from June until October and each box will be a selection of the current harvest for the purchaser's enjoyment. One of our tour group members, radio personality Meg Whitton, is an enthusiastic CSA supporter herself. As the desire for pure and healthy food grows, so does the interest in organic community gardens like this. Local restaurants have been very smart to pick up on this positive trend and buy their produce from Jardin du Village now as well. The general public can pick up fresh herbs and veggies at the new roadside kiosk located at 333 Lafontaine Rd. West, during summer business hours. When summer rolls around again, you might want to take a drive up to Tiny Township some day and have a tour of Jardin du Village. 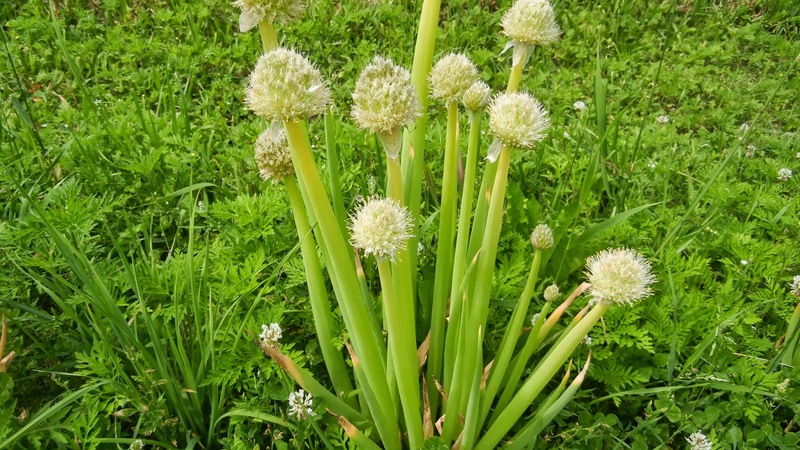 You might just be inspired to turn even a tiny portion of your yard or balcony into edible garden and you'll find all the tips you need here for keeping it organic.